Use SmartAsset's credit card comparison tool to compare today's featured cards and find one that's right for you. Unfortunately your credit score is too low to qualify for this type of card. Try looking for a secured card to build credit. We are currently unable to find any cards that fit your criteria. Please update your criteria, or take our quiz to find the best card for you. Data provided by Informa Research Services and CJ Affiliate. Advertiser Disclosure: The card offers that appear on this site are from companies from which SmartAsset receives compensation. This compensation may impact how and where products appear on this site (including, for example, the order in which they appear). SmartAsset does not include all card companies or all card offers available in the marketplace. In the old days (and I mean really old), people who didn’t pay their debts would land in debtor’s prison. 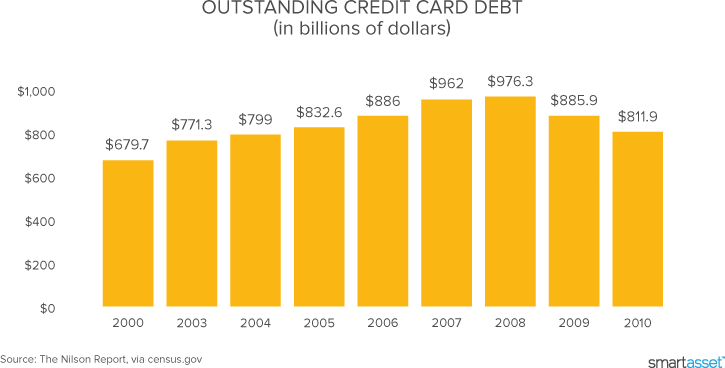 We’ve come a long way since then, but it’s still best to approach debt, including credit card debt, with caution. Credit cards come with risks as well as benefits. Even if you never really use the “credit” feature of a credit card (because you pay your bill in full each month), you still stand to gain from using a credit card for at least some of your monthly spending. Why? Because responsible credit use boosts your credit score, and a good credit score can help you with things like securing a home mortgage and even landing a new job. The process of going from wondering "What is credit?" to "Should I get a credit card?" to "What credit card should I get?" can be a lengthy one. Once you've decided to take the plunge and get a credit card, some credit card comparison shopping can be helpful. Before applying for a credit card, it’s wise to understand how credit cards work. If you start using a credit card and then close it because it’s not the right fit, your credit report won’t benefit from the credit history you built while using that card. That makes choosing the right credit card from the get-go especially important. To help you navigate your credit card options, our SmartAsset credit card finder will take your responses to a handful of basic questions and generate personalized credit card recommendations. Let’s take a tour of those questions and explain how they work. When you answer this question you can either give us a lump sum for the month, or you can break down your spending by category to help us decide which rewards plan is right for you. For example, if you don’t own a car, enter $0 for gas spending and we’ll know not to look for a rewards card that gives cash back at the pump. Many cards are only available to applicants with good or even excellent credit. Building credit is a cumulative process, and sometimes a long one, so don’t panic if you don’t yet qualify for the best credit card deals around. Lots of factors combine to make up your credit score, but one of the most important ones is your credit utilization ratio. This ratio describes how the credit you have compares to the credit that you actually use. If the combined credit limit on your cards is $10,000 and you spend and pay off $5,000, your credit ratio is 50%. Experts recommend keeping that ratio below 30%. Those with the highest scores usually have ratios below 20%. Opening another card can help your ratio (and by extension your overall credit) by increasing the amount of credit you have at your disposal—but only if you have the discipline to keep your spending below that 30% mark. If your current credit score is anything less than good or very good, our credit card comparison tool will suggest you start out with a prepaid card. This will help you establish your credit without the risk of being turned down for a regular card, or falling behind on expensive payments if you are approved. Do you pay off your balance every month? This is a key question to consider when choosing a credit card. Why? Because if you aren’t in the habit of paying off your balance each month, you’ll need to shop around for the card with the lowest interest rate. If you always pay in full and on time no matter what, you can focus more on rewards and other features without worrying about getting slammed with high interest charges. There are many different types of credit cards out there, so stay focused on the ones that fit your credit style. If you pay your bill in full each month, which type of credit card is right for you? Overall rewards: Rewards credit cards are an increasingly popular segment of the overall credit landscape. With a rewards card, spending (and sometimes certain kinds of spending) help you accrue points or miles that you can then redeem. Gas credit cards: Do you log a lot of miles behind the wheel each month? Do you worry about how increases in gas prices will affect your household budget? Consider a rewards credit card that will give you cash back specifically on gas purchases. Cash back: Everybody loves to get cash back—it feels like finding money on the street! Credit card cash back deals vary. Some offer fixed percentages on purchases like groceries, while others offer deals that vary from quarter to quarter. Airline and travel credit cards: Frequent flyer? Consider a credit card that fits your jet-setting lifestyle. Travel credit cards are no longer limited to the airline-specific variety. Some cards now offer rewards on a variety of travel-related spending, like taxi rides and bus tickets. If you frequently carry a balance on your card, which feature is most important to you? Lowest interest rate credit cards: Anyone who has ever been caught with an ever-growing pile of debt knows how important it is to avoid high credit card interest rates. 0% intro APR cards: Lots of cards come with the benefit of an interest-free first 12 months. Just don’t get too comfortable with this feature and forget to pay your balance in month 13! This feature can allow you to catch up on debt payments without accruing new interest but often if you come to the end of the introductory period (aka the no-interest period) you have to pay interest going forward and retroactively. Balance transfer credit cards: People who already have high-interest credit card debt may seek another card with a lower interest rate and transfer their early debt over. Some credit cards charge balance transfer fees, while others let you transfer debt and apply it to your 0% APR introductory offer. Prepaid cards: Some people need the dependability and protection against debt that a prepaid card supplies. These cards can also be a good way to start introducing your kids to the world of the credit card. That covers the questions our SmartAsset tool will ask you before generating your credit card recommendations. But how to choose between the recommended cards? Many cards come with an annual fee for the privilege of using them. These fees can top $100. In exchange for the annual fee, these cards often come with rewards and sign-up bonuses. Before you commit to a card with a fee, though, consider how much you would have to spend to break even and make paying the fee worth your while. Credit card companies are creatures of whim. They can—and do!—change people’s interest rates or credit limits if they don’t like the way a customer has been using credit. Plenty of personal finance websites and blogs out there will give you advice on what’s called credit card churning. 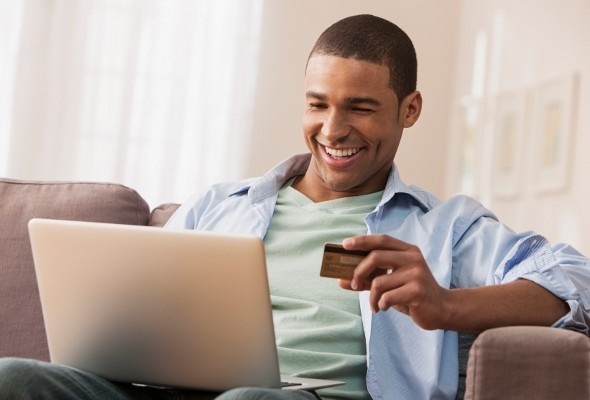 Credit card churners apply for credit cards, enjoy the sign-up bonuses like airline miles and cash back and then close the card promptly, usually before paying an annual fee. There are two reasons to approach this practice with caution. The first reason is that the credit card companies have caught on to this trick, and many are making their cards unavailable to anyone who has already had that same kind of card. They’re deeming churners undesirable customers and acting accordingly. The second reason is that this strategy can easily get out of control. You may have read success stories from people who juggle twelve different credit cards and use them to circle the globe for pennies. Good for them! If you are very organized this might work for you, too. The average borrower, though, probably doesn’t have the time, commitment and wherewithal to execute this strategy. With so many cards to juggle, it’s easy to let a payment fall through the cracks and find yourself with a mountain of interest charges. When choosing a credit card, base your decision on how you tend to use credit right now, not on how you would use credit in an ideal world where you had way more money—or tons of time to work out the best deals and talk to customer service representatives about claiming rewards. Do your research and read credit card reviews from customers with similar needs. Remember, credit cards aren’t inherently good or evil—they’re tools to be managed carefully as you work toward your financial goals. SmartAsset’s interactive map highlights the places in the country where people are the most credit card savvy. Click between states and the national map to see where people are smartest when it comes to credit cards. Methodology Our study aims to find the places where people are the smartest when it comes to using credit cards. 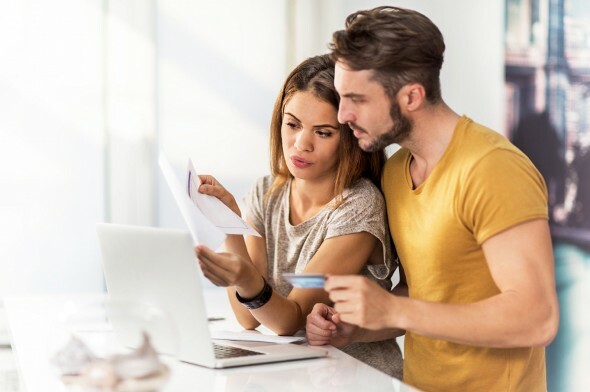 To find these credit card savvy places we looked at three factors: credit card debt as a percent of income, credit utilization and late payments rate. To calculate the Credit Card Savvy Index, we weighted credit card debt as a percent of income 40%, credit utilization 20%, and late payments rate 40%. We ranked the cities on each of the categories and then indexed each category. We then added those indices together and indexed that. A credit card savvy location means people there have low average credit card debt as a percent of income, low credit utilization and low late payment rates.